PP prices in Turkey have mostly tracked a stable path for almost a month with mediocre demand and the ongoing economic uncertainties on one hand, and the lack of some major suppliers on the other. 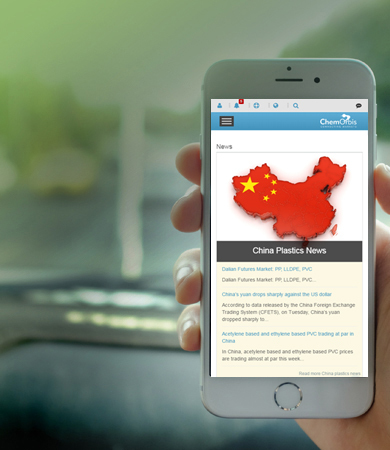 October was the second month in a row that PP sellers tried to lift the market up, citing the poor netbacks in Turkey compared to China but failed. This was mainly because the ongoing liquidity issues and fluctuating parity kept trading volumes reduced both on the side of buyers and traders. The sentiment in Turkey’s PP market was somewhat mixed this week as raffia and fibre prices followed opposite directions. Stalled demand weighed on raffia prices, whereas supply concerns supported fibre and led to small hike intentions for November. 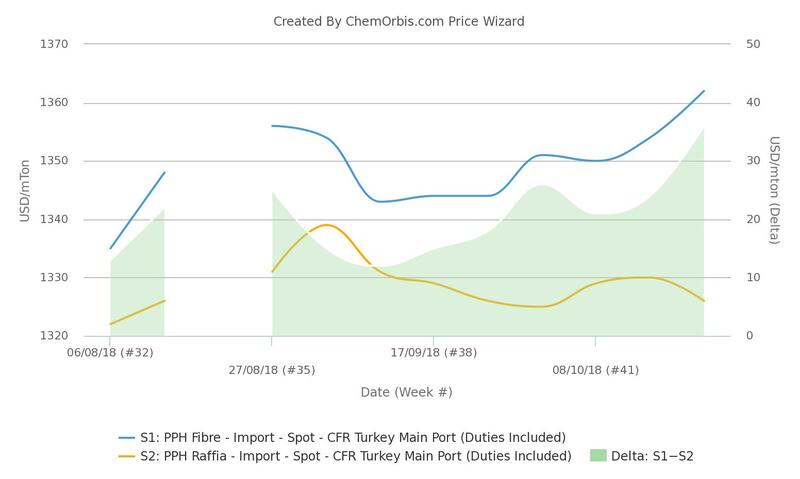 According to ChemOrbis Price Index, the delta between import PP raffia and fibre prices has widened to around $35/ton on a weekly average. This pointed to the largest gap between the two products in 6 months. “The imminent US sanctions on Iran combined with payment challenges and rising freight rates to Turkey resulted in fewer PP fibre offers from the country. Plus, it is the high season for fibre converters until January, which additionally supports prices. Nonetheless, the PP raffia market is relatively under pressure from plentiful supply sources,” highlighted a trader. Plus, Turkish PP players have welcomed initial offers from two brand new PP plants in Azerbaijan and South Korea in October. Raffia cargoes from SOCAR Polymer’s and Korean S-Oil’s facilities emerged at competitive prices in the recent weeks.